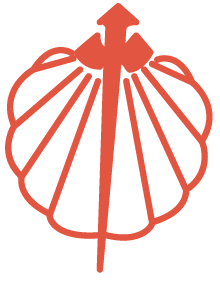 When we decided to hike El Camino de Santiago de Compostela we knew we wanted to partner with an organization to make our journey more purposeful. We chose The Passport Party Project. Tracey Friley, the founder of the Passport Party Project, started the organization as a way to help girls who would never get the chance to travel early on in life, get their first passport and go on their first international trip. Both of us grew up privileged enough to be able to travel from a very young age. We believe, that this has opened countless doors and played a huge role in making us who we are today. Because of this we would love to help others do the same. Phase One of The Passport Party Project was sponsored by Expedia, and Tracey was able to help 100 girls get their passport! The funds you help us raise, will go directly to supporting Phase 2. Tracey has secured sponsorship from Guadeloupe Islands and HomeAway in order to provide these 10 girls with an amazing first international trip. Our goal is to raise $5,000 in order to be able to give each of the 10 girls a $500 stipend to pay for their airfare. We are walking over 500 miles across France and Spain, in search of self-discovery, inner peace, and acceptance. We are able to make this journey in large part, because of the opportunities we were given, starting at a young age. If you feel inspired, consider making a donation to help 10 more girls get a life-changing experience. Every bit helps.